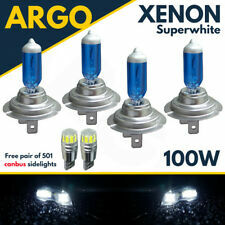 These are for the enthusiasts who want to upgrade the Light output of their headlights but want the better D2s Xenon bulbs rather then using H1 HID bulbs. This is a H4 35wHID XENON conversion kit. 6000K colour temp (Produces a bright white light with a blue tint). MINI COOPER 2007 ON. THESE PREVENT ANY WARNING LIGHTS SHOWING. EASY TO INSTALL- MINIMUM WIRING REQUIRED. 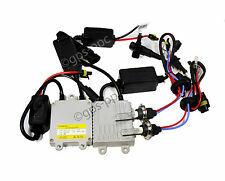 (HIGH QUALITY MINI CANBUS BALLASTS HID AC 35W CONVERSION KIT. TWO YEAR WARRANTY ON THE BALLASTS AND ONE YEAR ON THE BULBS. 8) Hot start power: ≤35W. All new shape cars have CAN BUS system, almost all HID kit in the market can not work well on these cars. 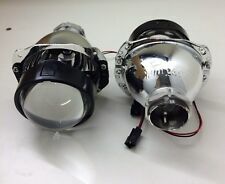 2 x HID XENON CONVERSION BALLAST MINI SIZE 7cm×6.2cm×1.2cm. it is suitable for any standard 35W HID bulbs. 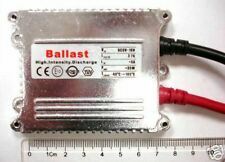 This small size of ballast makes it easy to find a suitable place to mount the ballast. Super Mini HID Ballast. H7 HID Xenon Conversion KIT 10000K. 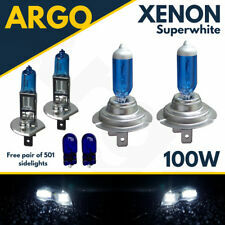 suitable for cars with standard H7 bulbs type fitted. This kit is suitable for all cars with standard H7 bulbs type fitted. This is a genuine xenon HID kit that isE-marked & ISO-9001 Approved! Luminous flux: 6000LM. Power: 60W. Color temperature: 6000K. Mini car headlight can be directly sealed inside the assembly. All-in-one conversion kit is easy to install. LED chip is made of highly bright imported COB. 2 x Black H igh Temperature Resistance Shrouds. Should use H1 HID bulb. And with the projector lens, the lights will be more focus and with sharp cut-off line. Suitable to use under any weather condition. 2pc H4 socket adaptors, 2pc H7 socket adaptors. - Required bulbs: H1 HID Bulbs. - Latest HID bi-xenon projectors, super bright, long life span, easy installation, and great safety features. - Angel Eye Color:Red. Specialty: ♦Certificate:CE CCC E-Mark ♦100% brand new ♦Power input: 12V vehicles ♦Fits: H4 ♦Plug and play,easy to install ♦Watt:35W ♦Size:105mm * 45mm ♦Temp color:6000K Item including: A pair H4-3 with MINI Projector Lens. H7 HID Xenon Conversion KIT 4300K. suitable for cars with standard H7 bulbs type fitted. 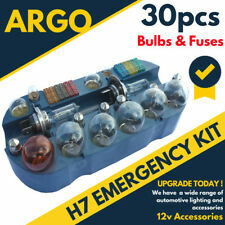 This kit is suitable for all cars with standard H7 bulbs type fitted. This is a genuine xenon HID kit that isE-marked & ISO-9001 Approved! Quick start: the 25% luminous flux is reached in 1 second, 80% of the luminous flux is reached within 4 seconds. For sale we have the following categories: H1 H4 H7 D1S D2S D3S. Why switch to Xenon?. Lampade OEM di serie D1S / D1R - D3S / D3R. EAN 8056324844181. Quantità 1. All products. Codice ricambio originale OE/OEM 63117182520. Codice ricambio originale OE/OEM 51808774. 81011 Alife CE, Italy. BMW 328i/335i (E93 2013 > 2014). OE xenon units, usually. Developed by novaArgo. 81011 Alife CE, Italy. Via Caduti sul lavoro 76. OF WHICHHai need. Tutte le INFORMAZIONI. Product code: b45. D2R OSRAM XENARC ORIGINAL. Classic bulbs with a warm light OSRAM ORIGINAL are the ideal choice for drivers who prefer normal temperature of light. Product authentication. Worldwide Service 12 Months Warranty. 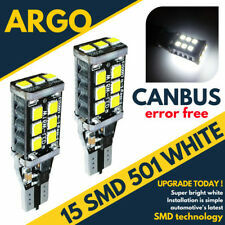 Canbus error free SMD technology. Technology: Canbus. Wedge bulb type: 501. Beam pattern: 360°. 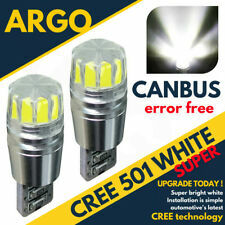 Can be installed anywhere that takes the 501 fitting: Sidelights, number plate, interior etc. Colour: White.